Dentronix cutters are designed for optimum intraoral access and long life. The 201 series of Royal cutters are manufactured using a superior grade of fracture-resistant tungsten carbide for the tip materials. 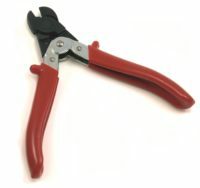 Our pliers are proudly made in the USA using American raw materials. 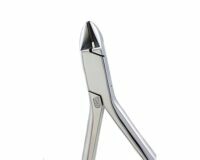 Each instrument is handcrafted to exacting specifications by our skilled plier makers. We are an FDA-registered medical device manufacturer with ISO 13485 and CE certification. 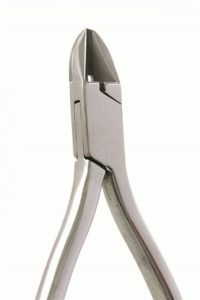 Our corrosion-resistant line of pliers feature super-hard stainless tool steel or Tungsten Carbide inserts that resist wear and corrosion even when steam sterilized. Lifetime warranty on bond failure and corrosion. Five-year warranty against manufacturing defects. One year warranty on reconditioning, sharpening, and reinserting. 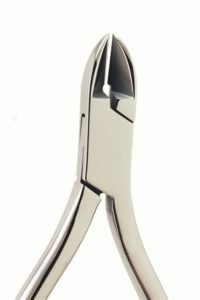 All clinical pliers in our catalog are made in Royal Line. Designated by part # prefix “DE”. Do not immerse in acidic solutions or enzymatic solutions. Use only non-ionic solutions that are chemically neutral. 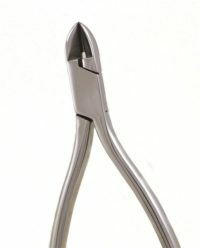 These pliers can be steam autoclaved or dry heat sterilized. 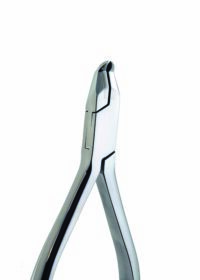 The original dentronix pliers that made us a leader in the orthodontic instrument business. 400-series stainless steel pliers are inserted with vanadium cobalt tool steel delivering the optimum in wear, control, and durability. Three-year warranty on manufacturing defects. Lifetime warranty on bond failure. Dry Heat sterilize only. 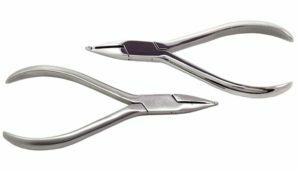 Lab pliers that will not be routinely sterilized are made in Classic Line. Designated by part # prefix “D”. Use only non-ionic, non-enzymatic cleaning solutions that are chemically neutral and contain a rust inhibitor. Our non-inserted line offers a steam sterilizable option made from solid stainless steel. 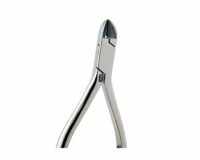 These pliers are hardened to optimum levels and offer good wear characteristics. 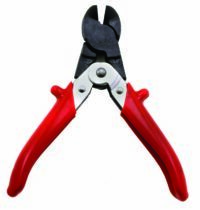 Non-inserted pliers have a 90-day warranty against manufacturing defects. 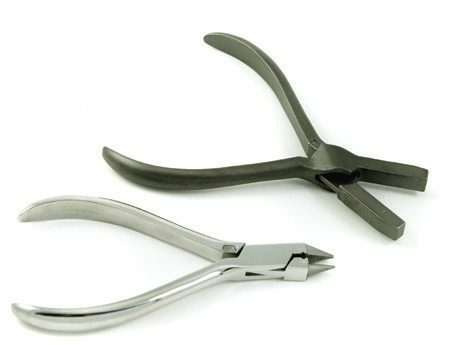 All dentronix pliers are manufactured from premium USA-made box-jointed plier blanks. Compared to the scissors-style lap joint, this encapsulated design offers tremendous advantages in increased bearing surfaces and contact areas for maintaining tip alignment. The standard finish on dentronix pliers is high gloss. This highly polished surface provides the best resistance to corrosion, staining, and discoloration that is available to the orthodontic professional. 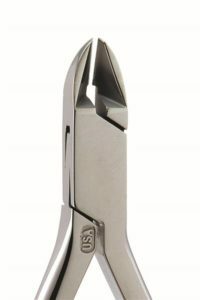 We believe that for a premium plier, it is the only sensible finish.